Your dog isn’t just a pet, they’re your best friend and a part of your family, so it goes without saying that the care of your pet’s eyes is something that you should take very seriously. 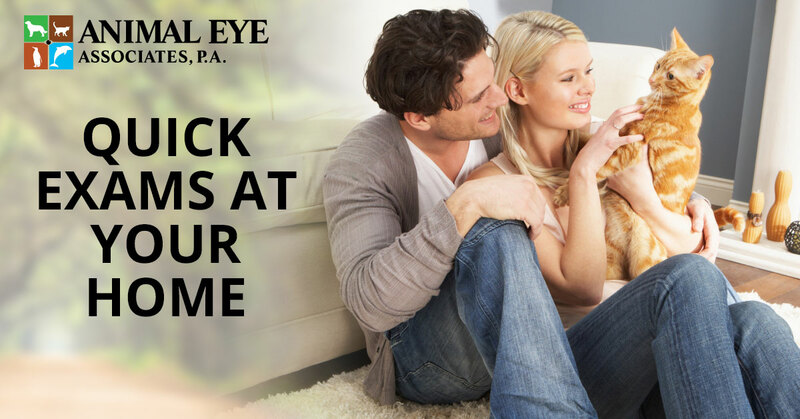 While you can always count on our team to examine your pet’s eyes, there are a few steps that you can take within your home to double check on their eyes before even entering the doctor’s office. By doing this, you can get an idea of what it is that you’re coming to us with, and we can at least have some starting ground to work with. 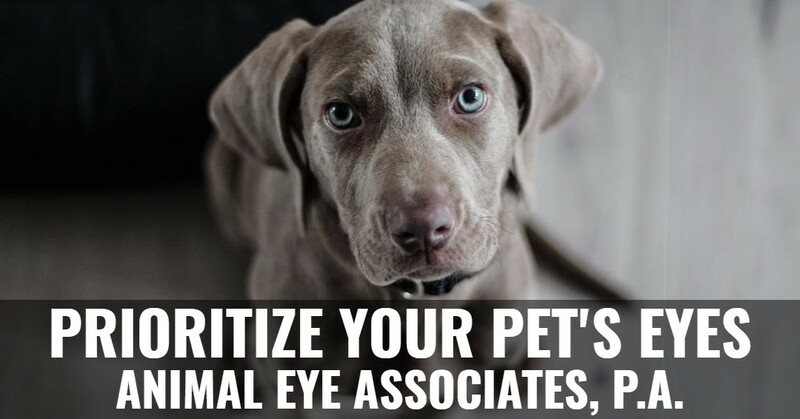 Before we get into any intensive steps that you may need to do, the first thing that you can do is just give your pet’s eyes a quick glance over. Most eye infections and irritations that will happen are pretty easy to notice just by looking at them. When you glance, you can quickly recognize if they look clear, bright and alert, or if there is something that is affecting their vision. If there is anything that looks abnormal in their eye, then take note of what it is that you’re noticing. That way, when you do come in and visit the ophthalmologist you have a general idea of what you noticed so that we can get a starting point and have an idea of what it is that we should start checking for. If there is anything that you are noticing, and there is a need to move to a step 2 at all, then what you need to be prepared for is a deeper look. This will require a little bit of touching, so make sure that you’re washing your hands so that you aren’t the problem that’s causing an infection in the first place. Start by looking at the corners of their eye. Is there more buildup than there usually is? Are their eyes looking cloudy? Are they red or sensitive. If you need to, you can pull their eyelids up to get a better idea of what’s going on throughout their eye. Again, make sure that your hands are clean and that you take notes on what is happening so that we can have a general starting point with your pup. After you’ve noticed that there are some signs of irritation or that there is obviously something happening to the eye that is different than normal, keep track of what you’re noticing. By making sure that you’re always looking out for changes with your pet’s eye, you can stay on top of it and make sure that they get the care that they need before the situation gets any worse. At a point in time where your pet is obviously uncomfortable, in pain, or showing symptoms such as tearing, discharge, cloudy eyes, tears, or red in their eye, bring them into our office and we’ll set up an appointment where we can give them a full checkup to come up with the treatment needed to get them into a healthy place. Call our office today if you’re in need of professional assistance.